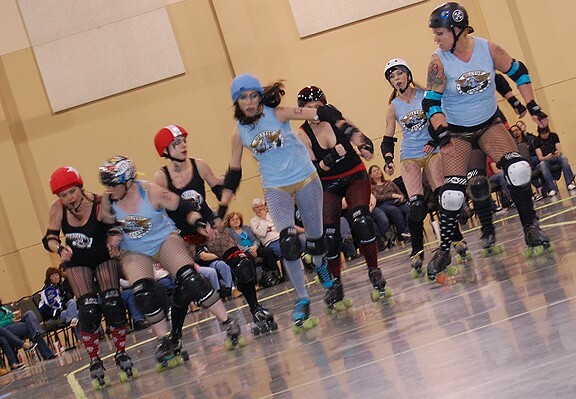 Layton’s Davis Conference Center wasn’t quite at capacity Saturday night as JCRD home teams Hilltop Aces and Railway Banditas faced off for the first time in 2011, but the women have obviously spent the off-season training hard to play harder no matter who’s there. 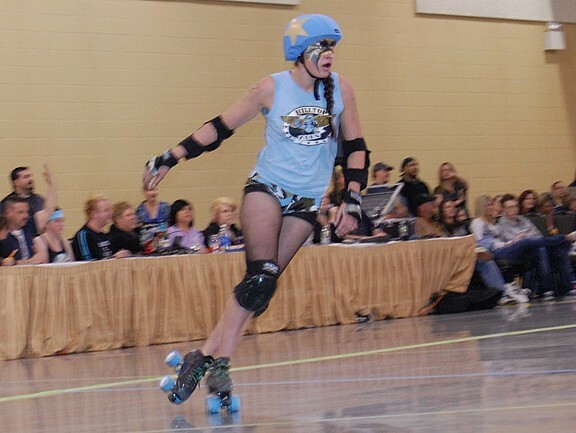 After a moment of silence for local roller-derby superfan Wild Bill Hill (who passed away in Florida last week), the blue-clad Aces quickly put 2 on the board. The Banditas in black answered back immediately with a triple Hot Trick for 15. 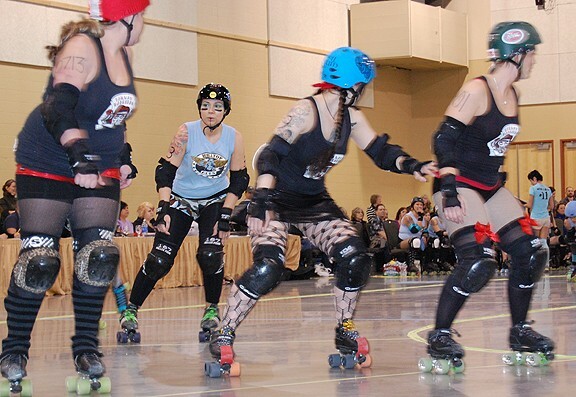 The lead flipped back-and-forth until Banditas jammers Tic Tac Flo, Clam Jammer and Killa Patra found their scoring grooves, keeping their team on top from the remainder of the first period. 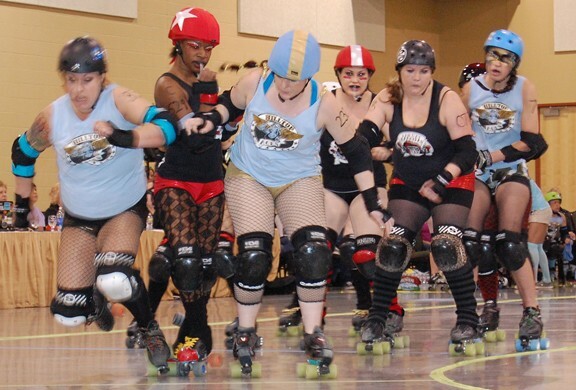 Score at halftime: Railway Banditas 86, Hilltop Aces 56. 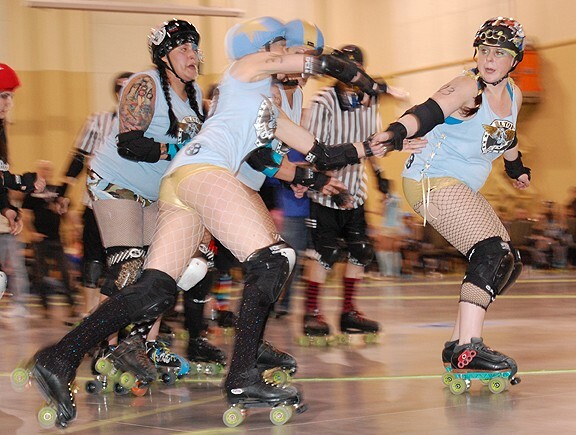 For the first half of Saturday’s bout, the majority of the Hilltop Aces’ jamming had fallen on an increasingly frustrated Penny Slain; in the second, Malibu Harpy and longtime JCRD hotshot Zelda Cruz turned in several impressive jams (including a screaming 15-point run) that nearly closed the gap. 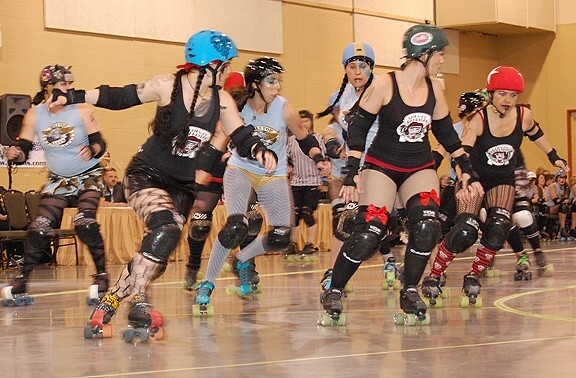 But, the Railway Banditas’ strong jammer trifecta, as well as several defensive gaffes by the Aces—including the game ejection of Slayer Cake, who’d proudly piled on the penalties—kept the bout in the black until the end. 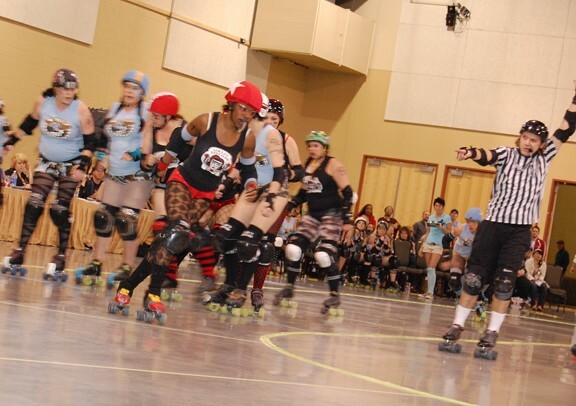 Final score: Railway Banditas 150, Hilltop Aces 118. 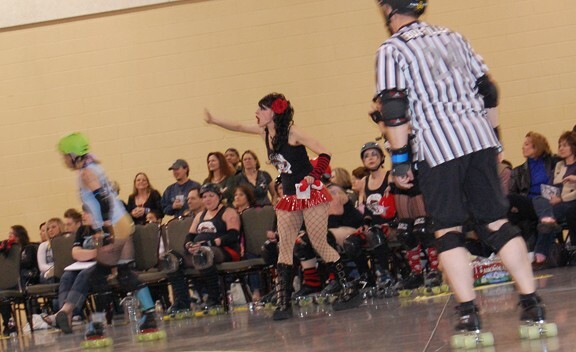 Saturday also marked longtime local roller-derby referee Stu Pidasso's final bout in Utah; he's moving to Denver, where chronic ref blindness is more tolerated (just kidding, Stu). 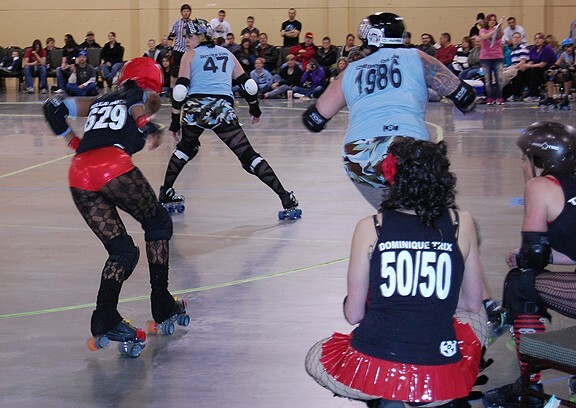 Next Junction City Roller Dolls bout: Saturday, April 16, a double-header featuring local men’s league Uinta Madness vs. Colorado’s Rollin’ Bones on the undercard, then the Hilltop Aces taking on brand-new JCRD home team the After Shocks, at the Davis Conference Center in Layton; info and tickets at JCRDolls.com. 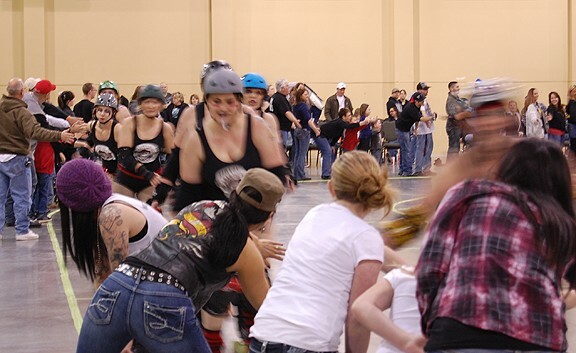 Full local roller-derby schedule here at Utah Roller Derby 2011.